Huge Savings Item! 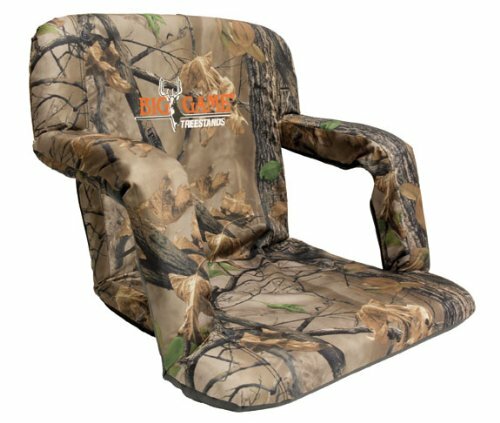 Save 12% on the Big Game Deluxe Stadium Bucket Chair by Big Game Treestands at Vet Center Store. MPN: 1006913. Hurry! Limited time offer. Offer valid only while supplies last. Measuring in with a 22” x 16.5” x 3” seat and a 22” x 16.5” x 3” backrest, the Big Game Deluxe Stadium Chair truly lives up to its name. Measuring in with a 22” x 16.5” x 3” seat and a 22” x 16.5” x 3” backrest, the Big Game Deluxe Stadium Chair truly lives up to its name. Features built in armrests, padded backpack straps, an adjustable carry strap, and multiple comfort adjustment settings. Attaches to any five or six gallon bucket (sold separately) and folds flat for bench seat use and easy transportation. Weighs 8.5 lbs.